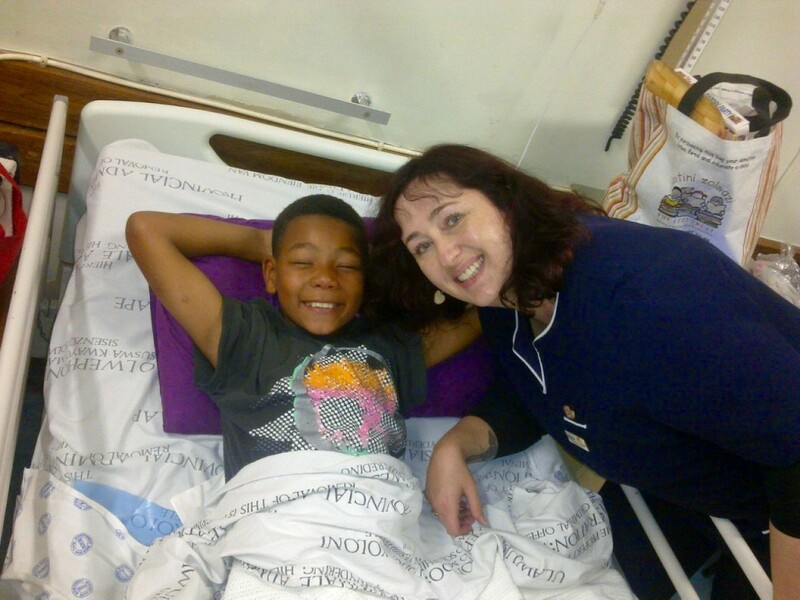 Nana – A very brave little boy! South Africa is a violent country, we all know this. Everyday our newspapers and headlines tell the stories of another shooting, another robbery, another hijacking. Stories that are to often quickly forgotten as we carry on with our lives. Very seldom do we stop to think about the victims of these crimes. Recently Iris House came face to face with the reality of violent crime, and the path of devastation it leaves behind. 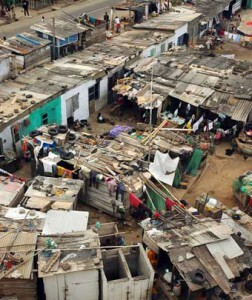 On a routine visit to one of our fastest growing areas, Khayelitsha the largest informal township in the Western Cape. 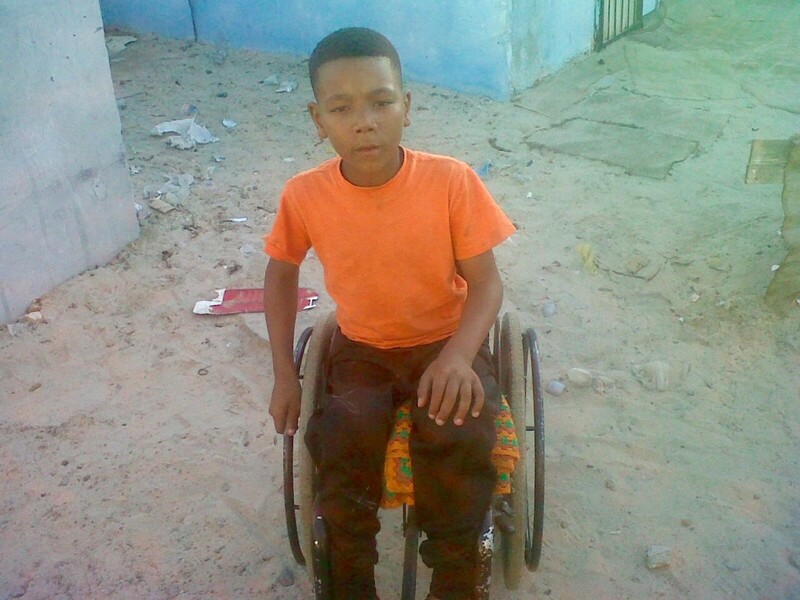 Zintle an Iris House care team manager came across a young boy in a wheel chair making his way down a dusty road. Zintle could see he was alone, and was concerned for his safety as Khayeitsha is well know for it’s gangs and crime. She chatted with the boy and realised he was cognitively very bright but paralysed from the waist down. Zintle asked more questions and the answers she got will break your heart. 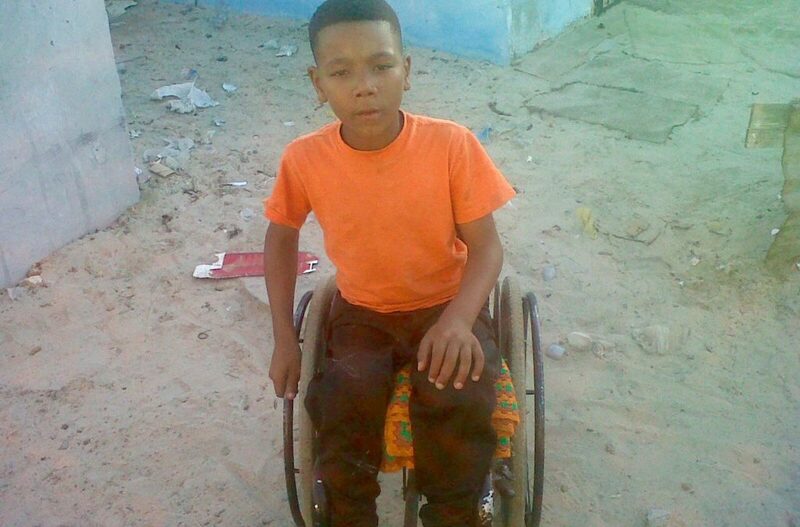 Nana, told Zintle that he was paralysed because he had been shot. Two bullets had penetrated his spine as he tried in vain to save his Mothers life. His Mother was attacked in the middle of the night at their home by an unknown gunman, Nana had flung himself in front of her attacker in a desperate attempt to save her. His Mother died in front of his eyes and he was left on the floor of the shack in agony. After treatment for his wounds Nana was sent home in a wheelchair, no counselling, no plan for his future and no Mother to care for him. His two sister who are in grade 10 and 12 took over his care the best they could. His Father no longer lives at home, and works all day. So little Nana at the tender age of 9 is all alone to fend for himself day in day out. Zintle asked Nana who was assisting with his personal hygiene. Nana told her he had a catheter and bag which he changed himself. But because he had no feeling from his waist down he did not know if he was soiled, and had to wait for his sister to return home from school each day to be cleaned up. Zintle was horrified as she was well aware of the risk of infected pressure sores due to his poor hygiene. She bought Nana some food and asked him to show her where he lived, promising to return the next day. She then reported to our office and we made arrangements for Priscilla our Social Worker to join her the next day. That was the beginning of our journey with Nana. Nana was brought into the Hospice by Priscilla and worst fears were released when we inspected his body. Nana had four pressure soars that were terrible infected. The deepest one was at least 10cm into his flesh. This was not just an infection but a life threatening situation. 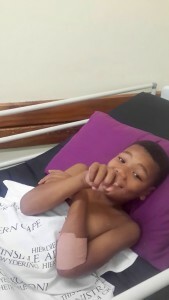 Nana was hospitalised at Karl Bremer on Wednesday the 20th of May, after Iris House contacted the Department of Social Development and Health. He has since undergone one of two scheduled Debridement procedure, which is the removal of dead tissue and foreign material from the wound bed and is starting a very long healing process. He needs to be turned every 30 minutes, and is checked for bowel and bladder moments. The surgeons who have examined Nana believe that with extensive rehabilitation, physiotherapy medical intervention Nana could regain the feeling in his lower body and even walk again. Can you imagine being able to send this bright young man back to school. ! Iris House is providing snacks, cool drink and treats to Nana on a daily basis along with respite care visits by our care team to keep his spirits high. We have also called on our friends the Care Clowns to visit. Staff and friends have relayed around and bought new clothes, colouring books and toys. He is in his own room due to the high risk of reinfection and very bored. He told us his ok but scarred at night as he thinks Satan is in the room when it’s dark. 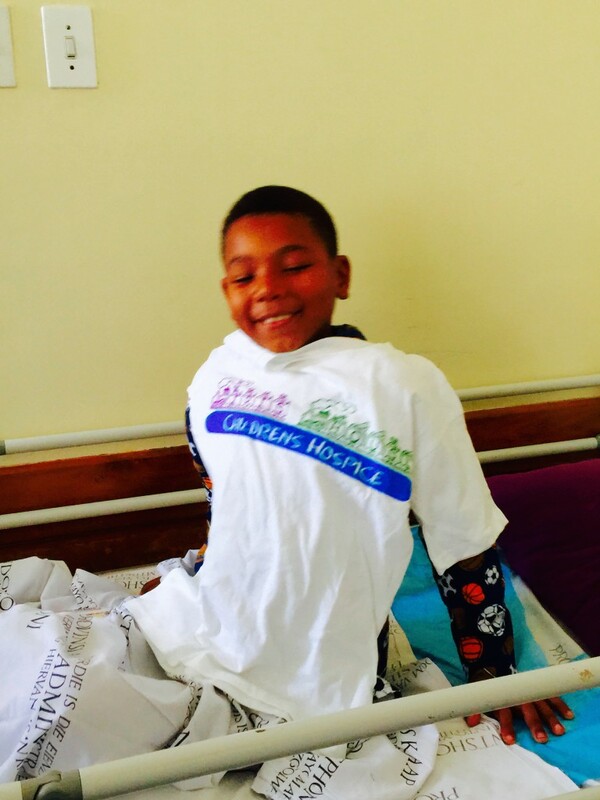 Iris House has committed to support Nana, in every way we can on his long journey to recovery. We have also committed to support where possible for his two sisters, who miss him terribly. 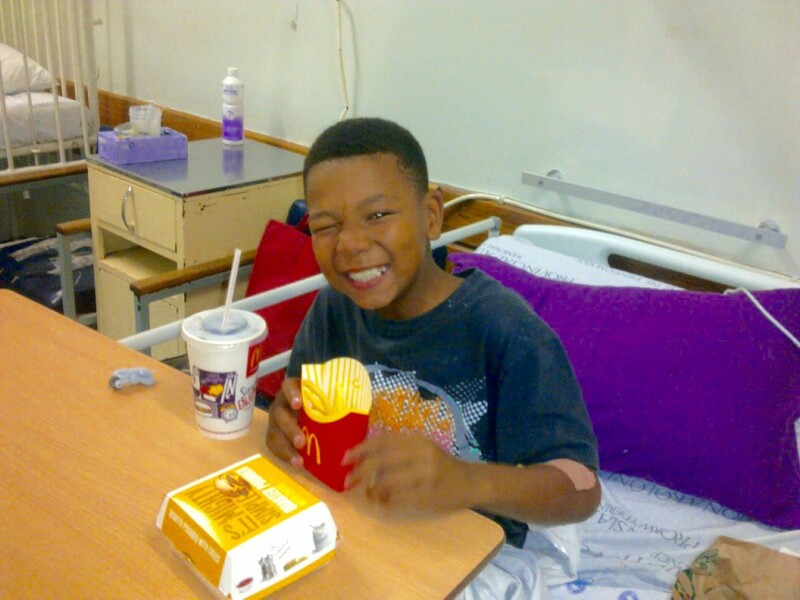 We cant do this alone and appeal to the amazing people of Cape Town to help us to ensure this story has a happy ending. We have compiled a list of much needed items. Donations of money are also very welcome to enable us to continue to have carers at his bed side during his stay in hospital and at his rehabilitation. All monies received will be used for Nana’s care and treatment or to support his two young sisters with food and electricity. We hope we can count on YOU to give Nana the future he deserves ! Monetary Donations can be made to Iris House Children’s Hospice – Please use NANA as your reference so we can make sure the funds are corrected allocated.